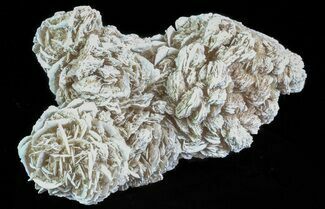 This is a large, 8" wide Desert Rose formation collected near Chihuahua, Mexico. 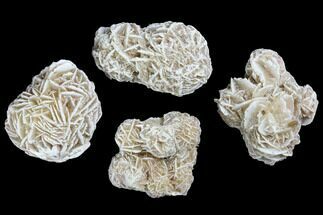 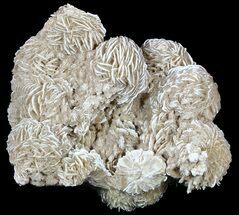 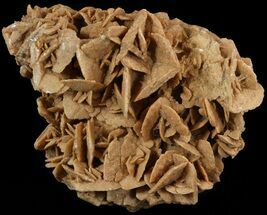 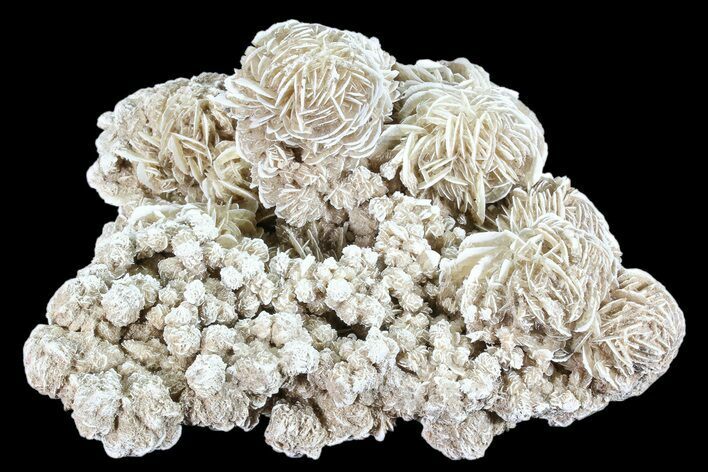 Desert Rose is the name given to a rose shaped formations of selenite (a form of gypsum) with sand inclusions. 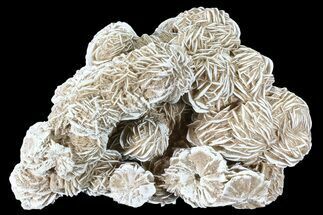 The “petals” of the desert rose are flattened selenite crystals, fanning out from the cleavage planes. 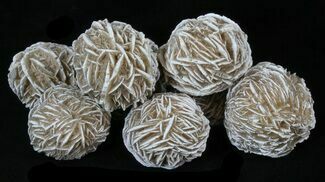 They form in arid sandy environments also known as deserts. 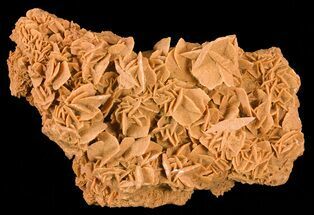 The sand inclusions cause the desert rose to take on the color of the surrounding sand. 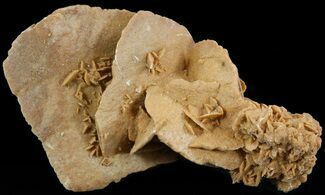 Native American legends say that they are rocks carved into flowers by their ancestors.